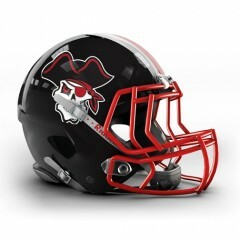 The East Kilbride Pirates American Football Club held their Annual General Meeting on Sunday, electing the committee who will lead them for the season ahead. The event at the Bowling Pavilion at Hamilton Palace Sports Ground was attended by players, coaches and staff from across the Club. Following an update on club finances, attendees had the chance to ask questions before elections to the club committee took place. Chairman Amanda McDonald was elected on a two-year term in 2016, so did not need to re-stand for election this time round, but all other committee roles were up for election. Vice-Chairman Jamie McLaughlin, Treasurer Matthew Davies were re-elected for a further two-year term, while ordinary members Stuart Gallacher and Jig McCoy were re-elected for a further one year term. Also elected for a one year term were new ordinary members David Fallon, Stuart Gilmour and Claire Cochrane.